I’ll answer the question that so many people are asking: Will a pull up bar damage my wall or door frame? It’s possible, but not if you take the right precautions. How can you protect your property from being abused by your fitness equipment? Read on. To improve upper body strength, you’re going to want to start a fitness routine incorporating chin-ups and pull-ups. There are several ways to do these exercises, but many are interested in performing these exercises in their own home gyms. While there’s more than one way to do these kinds of exercises, many prefer to work out from the comfort of their own home. There are more than a few different kinds of doorway pull-up bars available, like the Iron Gym. When these bars are used correctly, you can perform effective pull-ups, and get the muscle growth you want to achieve. When you use a doorway pull-up bar like the Iron Gym, your body weight should be distributed evenly when you set it correctly. This kind of equipment should be able to support several hundred pounds of weight, without any issue. With reinforced hand grips, your hands shouldn’t slip, and you should be able to hold yourself up firmly without falling. But that’s not the only consideration when using this kind of equipment. You also have to check the size of the door frame you’re planning on using. The door has to match certain size specifications to provide stability. If your bar is too small for the door frame, it will not be stable and it might be possibly dangerous. You must spend the time to adequately measure to make sure the equipment will be suitable for your purposes. Different doorway pull up bars have different features. Some models have rubber bindings softening their edges. These rubber segments are meant to reduce the possibility of damaging the door frame or the adjoining walls. When using a doorway pull-up bar like the Iron Gym, you can make use of multiple grip areas on the equipment and use it from different positions. Using these varying grips can add a lot of variety to your workout. There are going to be situations where you might need to alter your doorway frames to install your pull up bar appropriately. Some pull up bars require you to screw the bar securely into place before using it. When the bar is removed, it will leave behind ugly holes that will need to be filled or repaired. With cantilever-type bars, the structure of the equipment relies on the sides and the top of the door frame to keep the bar in place. With various adjustments, the shape of the bar can provide an appropriate attachment. There is a possibility with repeated use, the rubber segments may rub against the frame and the wall, which might promote wear. Apart from rubbing, there is also a possibility of scratches digging into the space around your door frame when the equipment is tightened. Do Pull Up Bars Damage Doors? They shouldn't if you take precautions. Before purchasing a pull up bar, you’ll want to get the dimensions of the door you plan to use it on. Use a tape measure to get measurements from several areas. First get the distance from the floor to the top of the frame, then the distance from both sides of the door frame. The last measurement you should record should be from the bottom of the door frame to the top of the trim. After you have these measurements, you can get ready to purchase a doorway pull up bar of your choice. You can compare your notes with the information on the outer packaging or the content on Amazon. All of the relevant details are included on the store page. Don’t forget that if you have extra trim attached to your door in it might prevent you from being able to fix the equipment appropriately. One method to reduce the damage your pull up bar does to the door frame is to place a rag or a towel under the places where the equipment touches. Try not to swing when doing pull-ups, as that might cause the bar to rub and increase the potential damage to the door frame. To avoid unnecessary damage, always closely follow the installation instructions. If when you put up the bar, you find that it doesn’t fit properly, you should take it down and try to find one that meets yours specifications. If you have to add pieces to make the bar function, it probably is not the correct type of bar for the door frame. If you have to use extra equipment just to make the bar work, it’s probably not the best door frame to use it on. But don’t lose hope. Even if the door has no trim, there are still viable ways to get it to work. Check out this reddit post if you want to learn how to install a Doorway Pull Up Bar on a Door without Trim. If you want to avoid damaging walls and doors, the following recommendations from the manufacturers should be observed: Be attentive to the warnings included in the instructions, the safety measures, and the weight limits. Using the equipment improperly increases the chance of injury and damage to your home. Following instructions carefully is advised. Contact the customer service hotlines provided in the instruction materials if you have any questions about equipment installation or exercises. Lastly, make sure to consult a health care professional before starting any kind of exercise program. 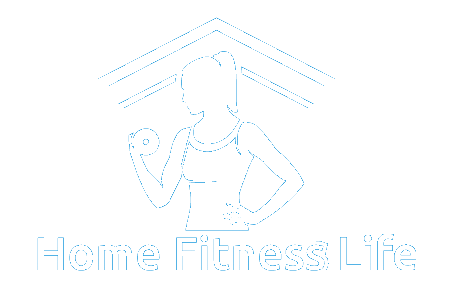 Learn more about our recommendations for pull up bars here at Home Fitness Life.